allowing open communication between people, companies, celebrities and more. Although still in its infancy it is the fastest growing phenomenon of the modern age. From inspiring revolutions and reuniting long lost lovers to breaking up marriages and fueling riots. With the time old balance of good and evil it stands to reason there is always going to be an argument for and against social networking, so why are some people still so fearful of it? and does the good outweigh the bad? as it may sound many people have already lost their jobs due to cases such as this. But is this social media’s fault? Or does it stem from the the individual’s choice to be dishonest? A recent advancement in social networking is Geo Targeting, this allows a user to tag themselves at a specific location (via gps) and is quickly being adopted by many companies for advertising. Word of mouth has always been the best form of promotion so when a girl tags herself at a hair salon for her 500+ friends to see this is priceless marketing. For this reason many high street companies are now offering discounts and offers for tagging in at their location. Although if the same girl then mentions what a terrible haircut she received at the salon then this could clearly have an adverse effect. So is it worth the risk? Through experience in providing social media solutions to a number of companies the same question is always raised ‘Do we really want users talking about us online? My response is always the same “Those users are talking about you anyway, maybe even geo tagging themselves there as we speak.” A quick search of a company name often proves this. Social media simply provides the means to engage with these people allowing you to reward the good comments and even turn around negative views. Monitoring social media is usually a better option than ignoring it. of predicting what it will evolve into next. For the past couple of weeks the media has been dominated by stories about the hacking scandal. Of course, this story is all about the illegal hacking of voicemail on mobile phones rather than computers or websites, but that isn’t to say that hacking websites isn’t a major issue at the moment. In fact, as part of the phone hacking scandal, the Sun’s website was hacked and a false story about Rupert Murdoch being found dead was planted on the site. Of far more significance is the hacking of the Sony PlayStation site a few months ago in which the account details of over 100 million users were taken. More alarmingly, thousands of credit card details were also allegedly stolen. At the same time, one of the CIA websites was hacked as was that of SOCA, the Serious Organised Crime Agency. The question is should Sutton Coldfield residents be worried? On the face of it, there are serious grounds for concern. Millions of us use internet banking and, with the unstoppable growth of online shopping, there are countless online credit and debit card transactions every day. Surely, if it is so simple to hack into commercial websites, we are at constant risk of having our money stolen. In reality there is no reason to panic. The first thing to consider is the motivation of the people doing the hacking. Most of the large scale attacks reported in the news recently have been performed by a group called Anonymous, a loose alliance of hackers located all over the globe. In the past couple of years a faction of Anonymous called LulzSec has emerged; LulzSec claimed responsibility for the Sony attack, hacking the Sun website and several others besides. The hackers’ aims are political rather than criminal; invariably they are targeting the organisation that owns the website rather than its customers. The next issue is the level of security on the websites that are targeted. Sony was hacked by means of an SQL attack, a fairly unsophisticated technique that has been around for years. To have credit card details stored on a site with such a low level of security is not going to inspire a lot of confidence but Sony argue that the primary purpose of the PlayStation site is to enable users to play games against each other, not to conduct ecommerce. Internet banking has an extremely high level of security. As well as username and password protection there is usually a one time code security device and, in addition, most banks also provide free anti fraud software to stop the baddies getting their hands on your hard earned loot. Ecommerce sites are similarly secure. As long as there is a padlock sign to the right of the URL bar you can be confident that the site is pretty much un-hackable. Once again, most banks and credit card companies offer additional security software; Capital One, the credit card provider, is currently working on security software that will be future proof for the next twenty years. Of course, if someone can steal your card details without your knowledge, from the Sony PlayStation website for instance, they could potentially use your card to buy goods and services online. First they would have to get through the anti fraud security and, even then, the liability for any losses would lie with your bank or card provider. The greatest danger still lies in fisching, sending fraudulent emails to get Sutton Coldfield residents to provide their account details. Remember, no bank or card provider will ever send an email asking for your logon details. The only people who are really at risk from the hackers are the owners of the websites who may well not want their dirty laundry aired in public as Wikileaks is prone to do. It is little surprise that Anonymous and Wikileaks are closely aligned. For a long time it has been possible to connect your computer to your TV using a variety of cables or, more commonly these days, via some kind of wireless connector. This is great, you can watch films you’ve downloaded off the internet without the hassle of burning them to a DVD or you can, of course, play your favourite computer games on a glorious 42 inch high definition screen – you can even play them in 3D. What you haven’t been able to do is watch one of your favourite websites, for instance YouTube, on your TV. 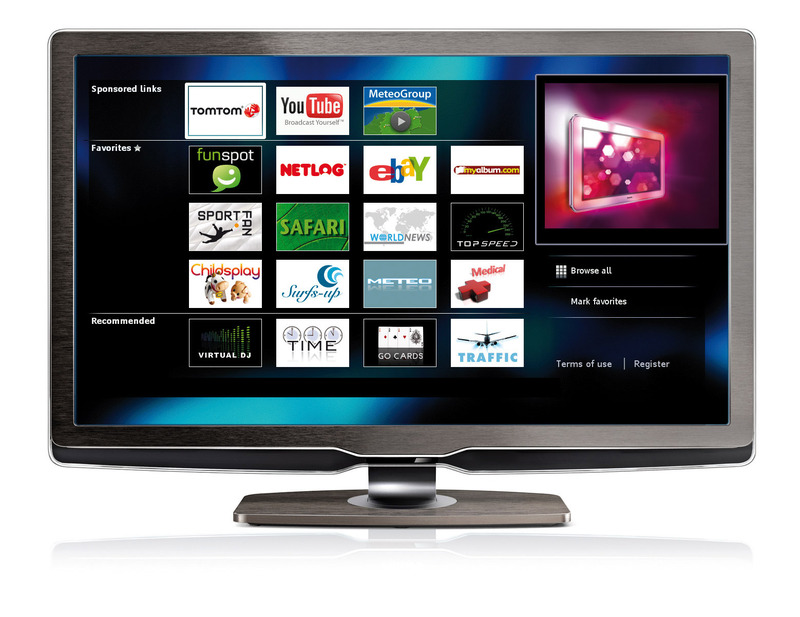 The advantages of being able to view the web on your TV are considerable. For starters, forget Freeview with its measly 50 channels, there are around 2400 free internet TV channels available, though admittedly many of them are foreign language or of limited appeal. If you want some higher quality TV output, you have all the more popular recent TV programs available through the likes of iPlayer, Four OD and ITV player. This frees you from the shackles of TV schedules and allows you to watch whatever you want at a time that suits you – the latest edition of Top Gear at four in the morning? Not a problem! You don’t even have to remember to set your recorder. Then there’s the ubiquitous YouTube. Even if you subscribe to the appropriate Sky TV package and have 7 or 8 music channels available, you still have to watch whatever videos or interviews Sky are choosing to broadcast at the time. There is now a Sky channel available that allows you to choose from several thousand music videos and stream whatever you want to watch but it costs £4.99 per month. Compare this to YouTube where you can watch virtually any music video ever made, people filming themselves doing ludicrous things and much more besides completely free. All the online movie rental outfits such as Love Film now offer video streaming services so you can watch whatever film you choose without having to wait for the DVD to turn up in the post. The big TV manufacturers are now offering internet ready models and these are starting to pick up a fair chunk of market share. However, the path they have gone down is to set up partnerships with the giant websites rather than simply make the whole of the internet available through your TV. Hence, a Sony Bravia IRTV will provide access to iPlayer, YouTube, Love Film and Sony’s in-house video channel. If you haven’t got an IRTV, you can achieve the same result using a PS3. But what if you just want to view whatever is on your computer on your TV screen? The best device I have found is a Veebeam which retails for £99. This connects your PC or laptop wirelessly with the TV and operates in two modes. In desktop mode you just see whatever is on your computer screen. As well as all the advantages I’ve described above, this is also very handy for giving presentations at a venue where the only facility available is a television set. In play-to mode you can play a downloaded film from your computer in HD quality while still continuing to work on the laptop at the same time – handy when working from home and trying to keep the kids entertained. There is an increasing concern about the convergence of TV sets and the internet. The main worry is children being exposed to adult material while just watching TV in the living room. The government is trying to introduce legislation where you have to actively opt in to view adult content rather than using parental controls to screen it out. I think this makes a lot of sense but, in the meantime, with a Veebeam the parental controls you’ve set up on your laptop also apply to your TV. Computer advice atricle provided by Recommended, Sutton Coldfield community magazine advertising local business to the Sutton Coldfield public.